KINSHOFER manufactures a wide range of rotators for excavators with load capacities of up to 15t / 33000 lbs. Years of experience in designing rotators and hydraulic load handling equipment guarantee high efficiency, long lasting rotators, specially tailored to meet your requirements. The gear-type design ensures a very compact and powerful rotator. The precision control and braking ability is especially appreciated by operators. The pressure relief valve allows the rotator independence from the hydraulic system of the excavator and prevents overstressing. The abrasion is minimized by using high quality tempered steel – the outer surface is hardened through a nitrate-coating. 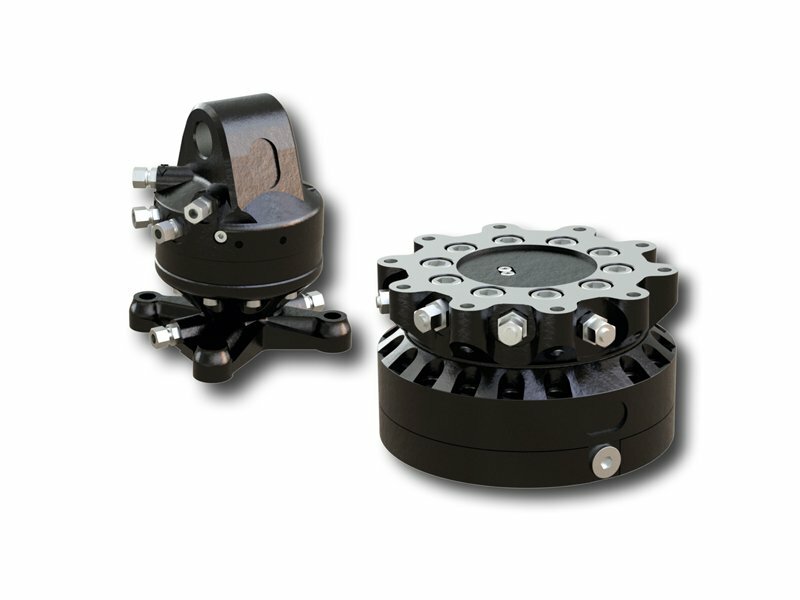 Our rotators are adapted optimally to our excavator attachments and your operations. Flange-Rotators with load capacities of up to 4, 5, 6, 7 or 10t / 9900, 13200, 15400 or 22000 lbs with head plate. Flange-Rotators with load capacities of up to 4, 5, 6, 7, 10 or 15t / 9900, 13200, 15400, 22000 or 33000 lbs without head plate. Head plates are available individually. Optional hose guards for our rotators add to the safety of your work.